We're absolutely delighted to bring you our incredible crop of nominees for the 2019 Into Film Awards! 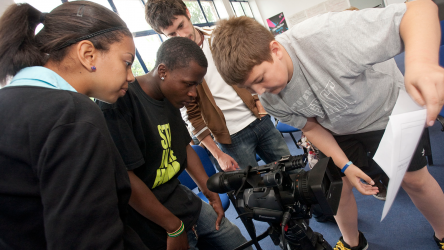 Since entries opened back in June 2018, young people aged 5-19 from across the UK have sent us a deluge of filmmaking submissions, showcasing the impressive range of UK filmmaking talent and evidencing young people's growing awareness and concern for the world around them with films covering topics such as food banks, anti-bullying, and internet safety. 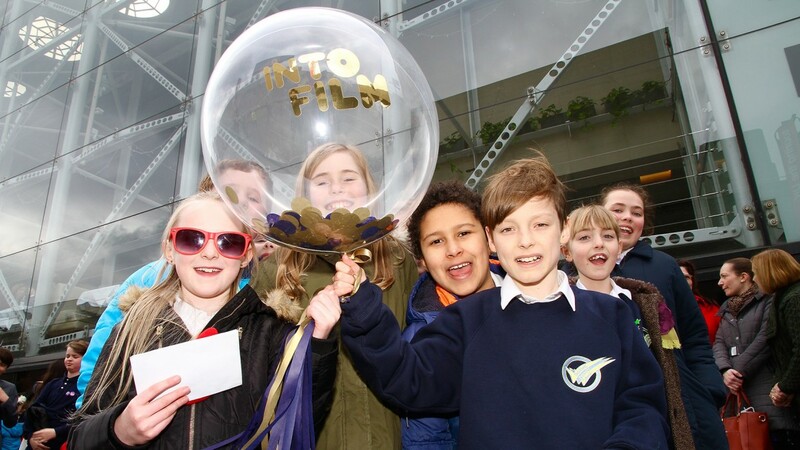 Fantastic Into Film Clubs, outstanding educators and inspiring young talent will also be honoured, and as ever, the quality of submissions we received - be they short films or testimony of those achieving incredible things in the world of film and/or film education - has been nothing short of astounding. Bravo to all those who entered. It wasn't easy, but after a long, hard judging process, the hundreds of entries have been whittled down to a shortlist of outstanding nominees. 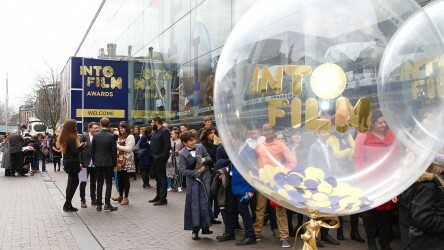 The winners will be revealed at our star-studded Into Film Awards ceremony, which will take place on Monday 4 March 2019 at London's stunningly refurbished and world-famous ODEON Luxe Leicester Square, and will be hosted by TV presenter Radzi. Click the film titles below to watch the nominated films. Note: the judges were at such a deadlock when shortlisting that a decision was made to nominate four films in this category. This special new Award follows on from our Moving Minds Filmmaking Project, which saw young filmmakers produce a series of films about mental health and wellbeing. This project was funded by money raised when Into Film were fortunate enough to be selected to take part in ICAP Charity Day in 2017. From a total of 19 brilliant films, the three below were nominated for an Into Film Award. A fable about anti-bullying set in a school where children wear their feelings (in emoji form!) on their faces. A wonderfully hand-drawn animated journey through the cherished childhood memories of a group of men and women, as they recall their younger days living in a very different world. After a fire burns through the countryside of north Wales, two young girls must deal with the fallout... and each other. Note: To activate English subtitles, click the 'CC' button at the bottom right of the video and select 'English'. A mysterious tricycle, a teacher's warning, and a friendly dare... what could go wrong? A young man struggling to find love begins texting a girl named Layla, who seems to be the one for him. But having never met her face-to-face, is Layla truly all she seems? The title pretty much says it all when it comes to this zany comedy that also features spaceships, the city of Ipswich, and a Donald Trump robot. Naturally. A young boy with a difficult home life finds solace in a new friend he meets via an online video game, in this startling cautionary tale about online safety. This brilliant and creatively animated film brings the oft-forgotten contribution of carrier pigeons during WWII to light. This moving, heartwarming documentary celebrates Margaret Dodds, a 100-year-old woman whose relationship to football and, in particular, Bristol City Football Club, has been a constant thread throughout her long, colourful life. An exploration of Britain's dwindling mining industry, as two lifelong miners discuss their memories of the mines, and lament the slow decline of the industry they gave their lives to. 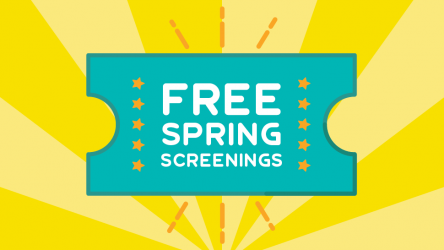 With a musical centrepiece, this film sees a group of students detail the changes - both big and small - that they're vowing to make in their lives, before visiting Bridgend Council offices to get local Councillors and MPs to speak out on the changes they hope to make. Stop-motion animation is used to illustrate the shameful truth that so many people in Britain rely on foodbanks to get by, while also highlighting the needless stigma that comes attached to them. This terrifying and incredibly slick dialogue-free animation displays a great command of the horror genre, as a young woman finds herself being stalked through the woods by a menacing creature. This claymation short sees two dogs vying for one prize, and demonstrates that a film with a minimal running time can still be effective given a simple-but-smart idea and funny execution. 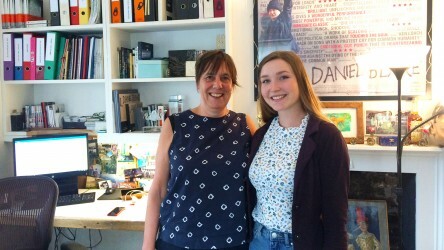 Dotty, Review of the Year winner at the 2017 Into Film Awards, explains how she went from reviewing 'I, Daniel Blake' to working with its director, Ken Loach.